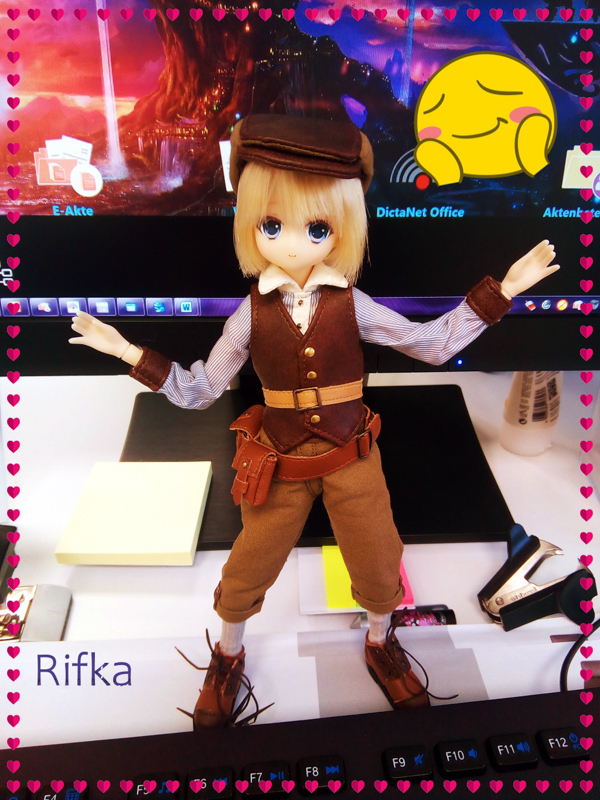 Everyone needs a little laughter from time to time and Groove Inc thought of a way to package a little laughter with the announcement of the August 2016 doll named Pullip Ha ha! Ha ha is very optimistic that she will bring you infinite amounts of giggles and amusement this summer. 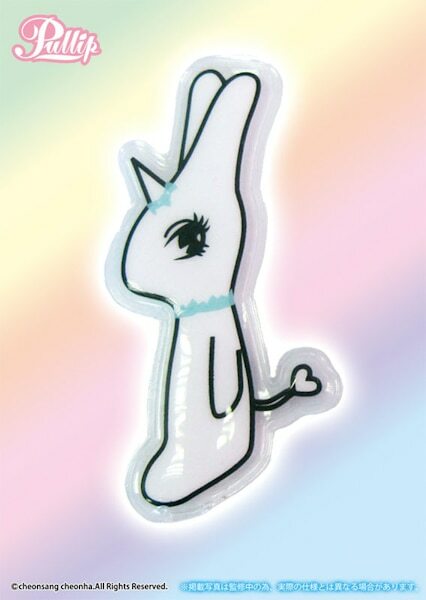 Seen wearing a fun jumper outfit and a silly cherry stem that looks as if it's growing straight out of her blonde hair; you can't help but feel a bit of cheer when Ha ha is around. Ha ha even thought of the perfect location to relax, can you say BEACH? She packed her bikini and is ready for a sun/sand filled day out on the beach. Oh no, did you forget your shades? No worries because Ha ha brought an extra pair. If you are ever feeling blue you can always reach for Ha ha to put smile on your face! Side Note: Did you know the prototype for Ha ha was seen at the following events/packages? 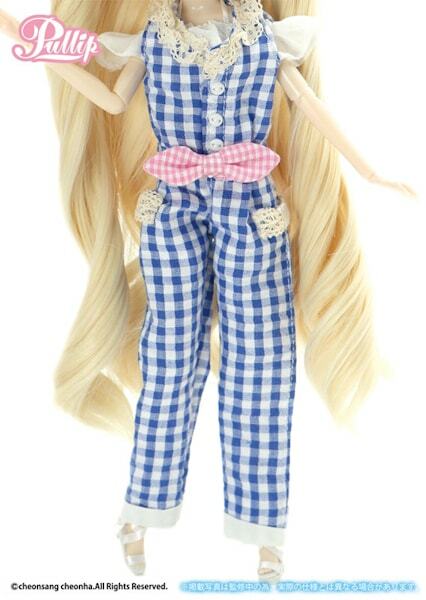 It's been nearly 4 years for this doll to see a official release so it leaves the door open that Groove/AGA may release another older prototype doll sometime in the future. 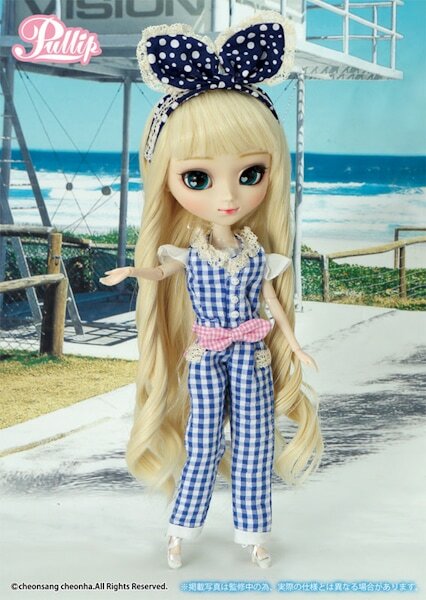 Will Pullip Ha ha be a part of your summer plans or does another doll grab your attention this season? 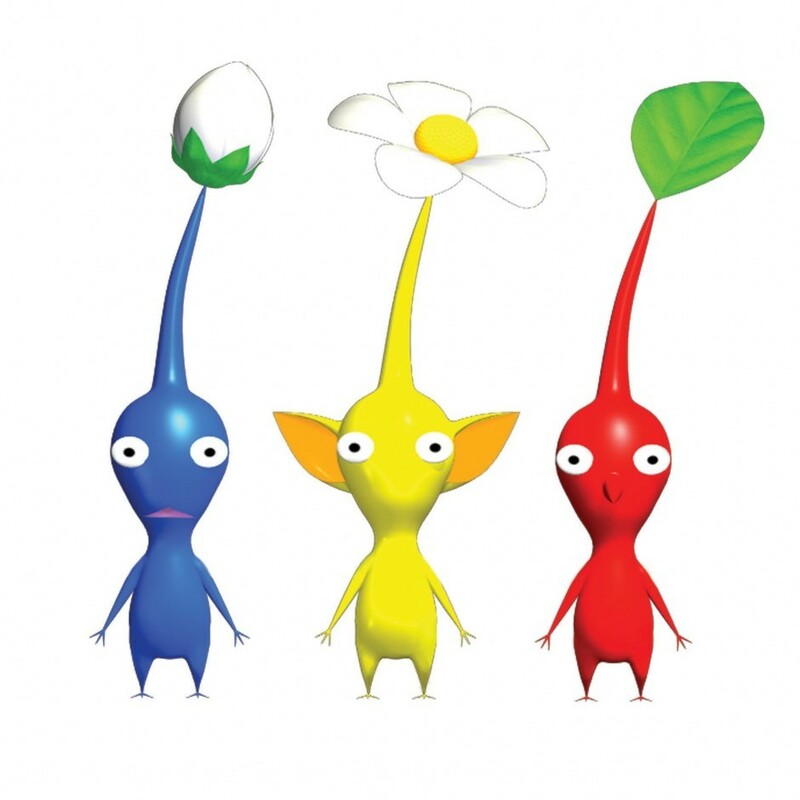 yes pikmin is the same word even in japanese (pikumin), and i had the same idea when i saw this. 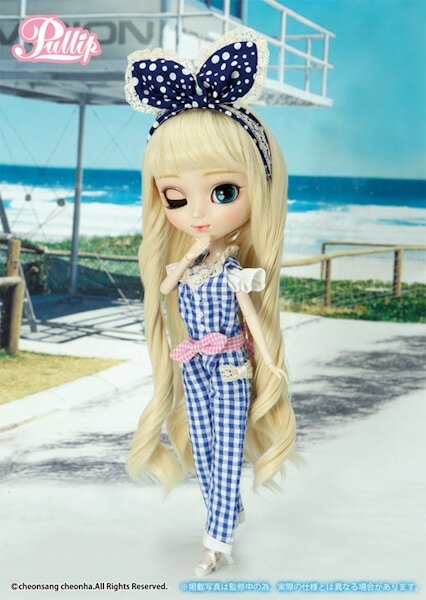 I think, she’s not ugly but not very beautifull too, i found she’s basic’s pullip. 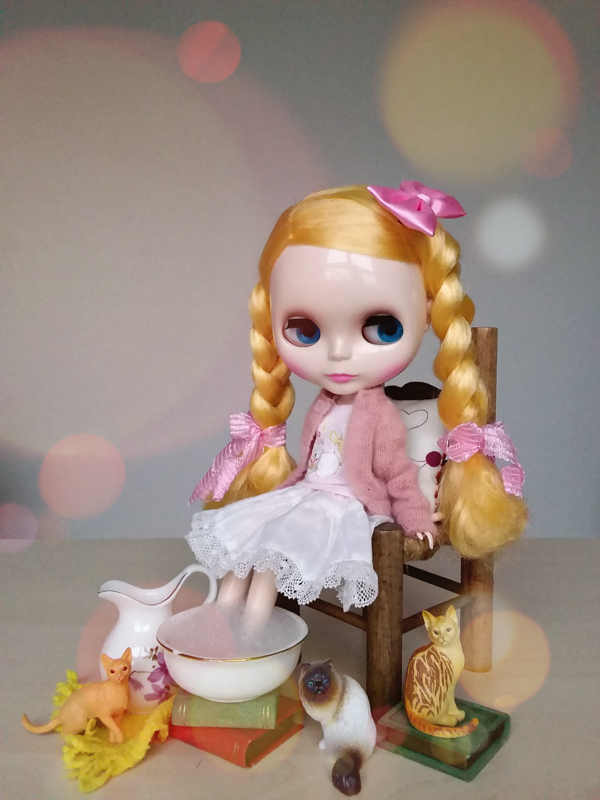 The pink’s pullip on the picture are more beautifull than her, but that’s my choice. 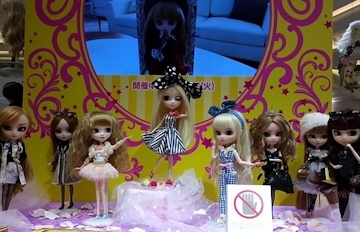 It’s could be nice for Groove to make nice pullip again, too much Sailor Moon has put down to the franchise but that’s my opinion, and that’s maybe for this, few pullip’s stand are present to Doll Show. You’re not alone in thinking that Sailor Moon has been the main focus for Groove. 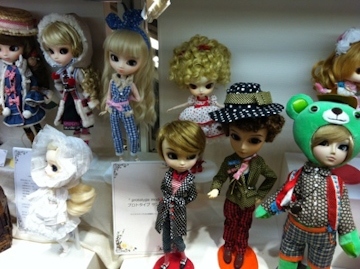 It’s been 2 years and 22 dolls later, when will they complete the series? I wasn’t really expected that kind of release from Groove. I don’t know why but I thought that they would release an other premium pullip after all of those Sailor Moon dolls… Well she is pretty for sure and I really like her make up but I’m not fond of jumper ^^’ (bad memories when I was child… I was most of the time dressed with that kind of clothes -_-‘ I can’t stand them now). 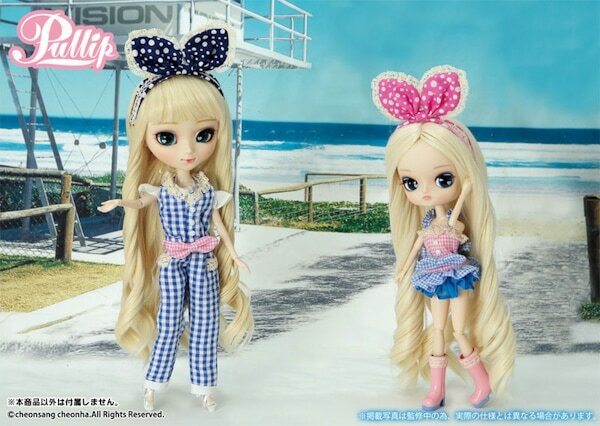 But I don’t know that the Pullip was made after a prototype showed some couple of years before. 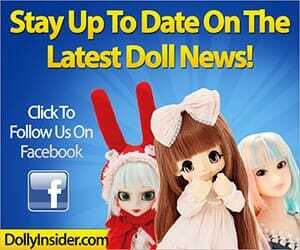 O.O The pink one on the first picture is pretty :3 I would have love to add her in my doll family. The cherry stem made me think of a Pikmin XD I don’t know if it’s the same world in English as game titles often change when they are released in France. I know, I wonder what happened with the premium line they’ve only announced 3. Maybe they will announce one for July. The sweetie dressed in pink is wearing the Galesnjak Heart outfit set. I wasn’t aware of the game Pikimin, I can totally see the resemblance. I think she looks SO LOVELY! 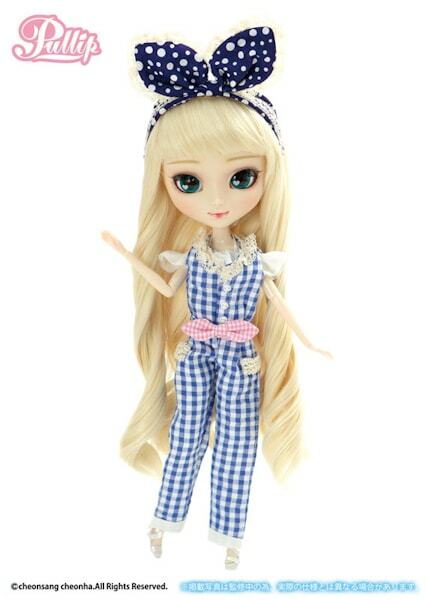 That face-up is just darling! And those cute little sunglasses are awesome! I’m not a big fan of the super long wig though. The accessories they provided with this release are lovely. 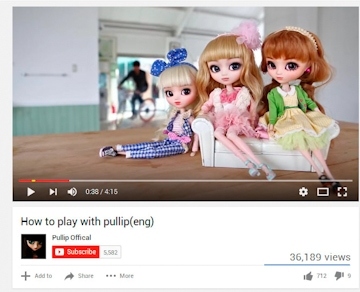 Thanks for chatting with me about Pullip Ha ha!